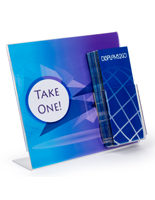 T-Shape Provides Easy & Quick Changes to Images. 11" x 14" Signage is Large for Eye-Catching Fixture. 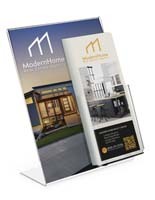 Pocket Attached to Front Holds 4" Wide Brochures. 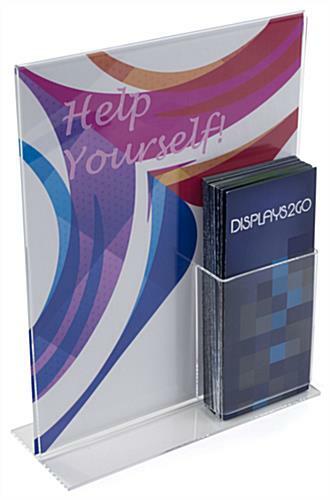 This literature holder for counters has an 11”w x 14”h sign display and front pocket for brochures. 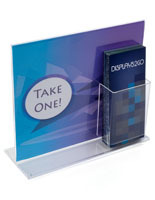 The clear acrylic frame is perfectly placed on countertops in lobbies or on banker’s desks in institutions to inform customers about new services or changes to policies. 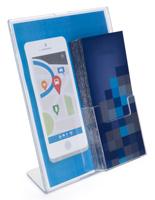 A literature holder that features a T-design makes it is easy to change images by just opening up the panels from the bottom and replacing the existing print. 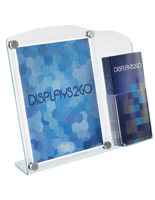 The larger display provides a more important look to customers, but part of the sign will be covered by the pocket that is attached to the bottom corner of the fixture. 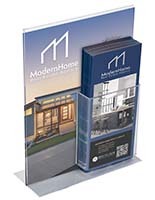 The holder is able to organize brochures that measure 4”, which is a standard size for trifold papers. 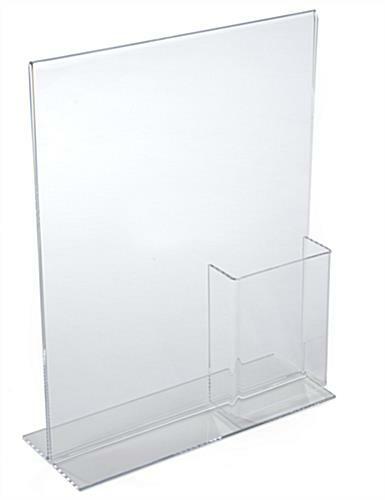 Clear acrylic is durable for fixtures that can be used and used again.